Saturday shoppers in Liverpool One, printed banner. Commissioned by the Liverpool Biennial Public Program, UK. 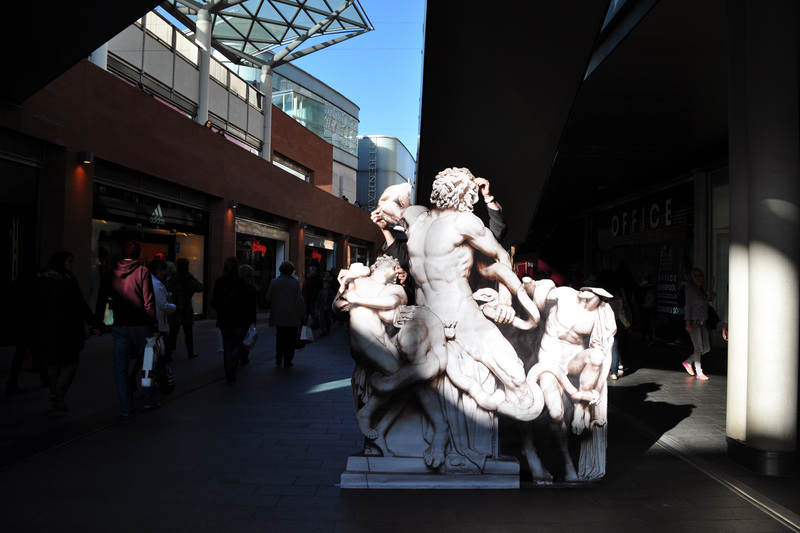 What happens when the timeless Roman statue of Laocoon and His Sons meets the constantly moving mass of Saturday shoppers, when a full body of fleshy stone becomes a flattened advert on a banner, when a statue cannot stand on its own without a continuum of human interactions? 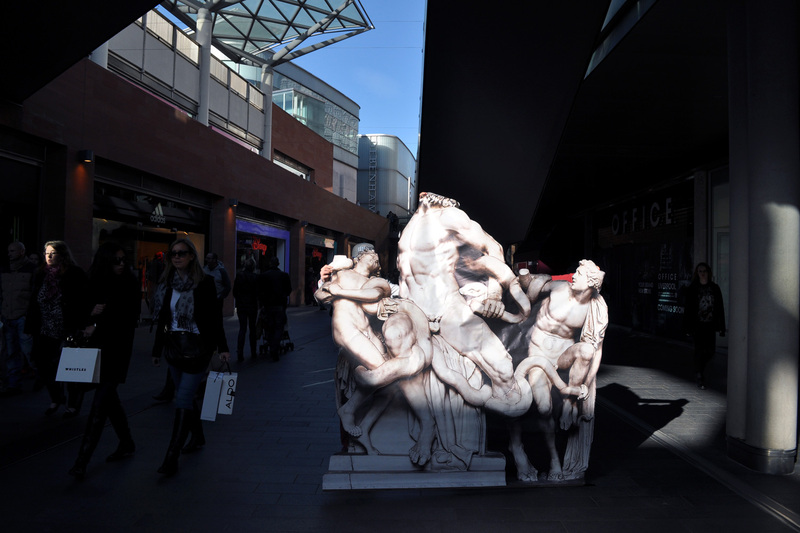 On a busy afternoon, the flat and falling image of the Roman statue was brought in the middle of Liverpool One shopping centre. People were invited to hold the printed image, and to only let go when another person agreed to take over, sharing the responsibility to keep the sculpture standing.